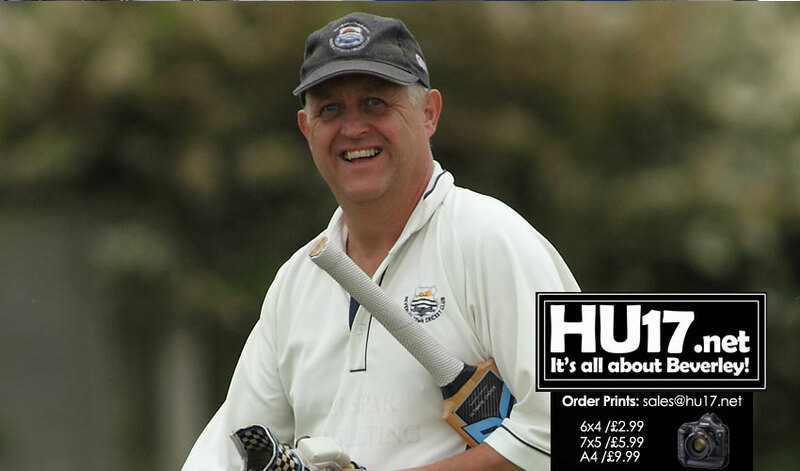 Beverley Town CC Secure Title And Hunters Cup Final Place | HU17.net – It’s all about Beverley! Old East Yorkshire Cup rivals Beverley and Pickering met at Norwood and once again the home batsmen profited from the excellent batting conditions. Harry Gamble was the main beneficiary with a superb unbeaten 134 from 142 balls (16 x 4, 1 x 6). A second wicket partnership of 102 between Gamble and Pete Shally (55), Olly Grantham’s 35 and another hundred partnership between Gamble and Andy Burton (60 no) took Town to their highest score of the season at 308 for 3 from their 50 overs. At 25 for 3, all three wickets to Kieran Thompson (3-35), an early finish might have been predicted but the visitors batsmen knuckled down and valued their wickets. Slow bowlers Jamie Roe (3-59) and Greg Whyley (2-67) sent down 14 overs each but Pickering reached their draw target with relative ease at 233 for 8. Town’s 27 points from the game lifts them to clear third in the Premier Division with five games to play. On Friday evening Beverley beat Malton and Old Malton in a much rearranged semi-final of the Hunters Cup. In the tightest of finishes Town won on fewer wickets lost over the twenty over game. Asked to bat first, Olly Grantham (44) and Greg Whyley (36) top scored, their second wicket partnership of 88 providing the base for the eventual total of 144 for 8. Brad Dobson scored 17 in support. After a 49 run opening stand Malton began to steadily lose wickets. Some excellent fielding led to three run outs as Whyley (2-33) and Jamie Roe (2-20) led the bowling attack. Joey Franklin (1-17) bowled at the death and, with the score on 142 for 9, two runs came from his last ball when three were required leaving the scores tied but Town winning through losing one wicket less. In a repeat of last week’s result Beverley 2nds took 25 points from a drawn away game with the home side nine men down at the close. In the absence of run machine Will Parker, Rob Fish took the lead with an unbeaten 59 as Beverley batted first. Connor Bowden’s 33 helped Town to a modest 163 all out in 46 overs, leaving Dringhouses 50 overs to reach their target. So often successful against Beverley, veteran slow bowler Mick Kenyon took 4 for 17 including a hat-trick. Bowden was the most successful bowler with 4 for 46 as Town claimed nine home wickets but could not force out the last man giving the 2nds 25 points and they remain in the second promotion place. A magnificent all-round performance from Ranbir Singh brought the 3rd XI their second successive win. The 3rds have often struggles against HICE but this time the tables were turned despite Town only making a modest 150 for 8 at Norwood. Alex Nightingale (20) failed to capitalise on a determined start but Singh batted a long time before getting out when well set on 37. It was left to captain Tim Fordon to hold his side together with the help of a useful ten from Kieran O’Brian. Fordon was unbeaten on 39 at the end of the allotted 45 overs and his contribution was to prove invaluable as events unfolded. Owen Parnaby opened the bowling with Singh and HICE moved to 16 without loss with no major alarms. On the point of being replaced, the latter then began to get the ball to swing and ripped through the visitors batting. He removed the HICE top order to leave the total at 22 for 4 before another period of relative calm. A Will Fish run out and three more wickets to Singh followed before Craig Foster (1-6), not wanting to miss out, joined the attack to take the ninth wicket. Singh then wrapped up the innings at 38 ball out with his eighth wicket for just 14 runs in a remarkable bowling display, the second best bowling figures in the whole of the York Senior League in 2018. 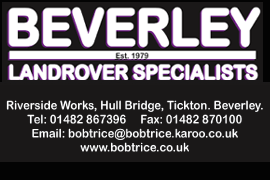 Beverley 4ths secured top spot in Holderness 4 with a win at Elloughton. In a match reduced to 40 overs a side Town were able to restrict the home side to 136 for 8. Jacob Hunter took 2 for 27 from his ten overs while Charlie Bough (1-5) and Jonathan Sowter (1-17) turned in good spells. Brad Beynon (2-6) also weighed in with two wickets. Town openers Kieran Simpson (42) and Ian Pratt (56) set the tone before they were both out and three cheap wickets fell. It was left to Hunter (12 no) and Beynon (10 no) to see Town to a 30 point maximum. The 4ths have just two games remaining and with an unassailable 92 point lead at the top of the division they will hope to complete the season not only as worthy champions but also as an unbeaten team.